There are some experiences not captured in words. So I hope you are not expecting a report of what an intensive silent meditation retreat is like. I realize now I only had a vague concept of what mindfulness meant and it's more expansive than anything I could have conceived of. Going in, I also didn't know that there is essentially no difference between cultivating a clear mind and cultivating an open heart; they go hand in hand. One of the thoughts that captured my mind coming back into the 'real' world yesterday was how to reconcile the spiritual life as my highest priority with my "worldly life", including the workplace and business. A rare female Buddhist master, Dipa Ma chose home, work, and family over the ascetic seclusion in a temple or monastery, and taught meditation and mindfulness amidst everyday busyness in her simple apartment in the heart of Calcutta. I read the book in one sitting last night. There are probably thousands of books purporting claiming to help us integrate spirituality and life. But Jesus, Buddha, and the Daila Lama didn't necessarily have to contend with ironing, cooking, paying bills, and raising kids on their path to enlightenment. And the other books - well, let's be honest, they're not a heck of a lot of examples of fully awakened role models. Sure that sounds like a lofty goal for ordinary folks (yes, I know the paradox of striving for enlightenment). But after reading the book, Dipa Ma: The Life and Legacy of a Buddhist Master by Amy Schmidt, I firmly (and finally) believe for myself that it is close at hand for anyone. Myself included. Yup, even in this lifetime. She taught folks from bankers to widows in her own neighborhood how to reach the first stage of enlightenment within their everyday lives. Not only neighbors, but ordained monks and spiritual teachers throughout the world sought her guidance as a teacher. Her first formal student was a widow, Malati Barua, trying to raise six children alone. She instructed Malati to breastfeed her infant with complete presence of mind, for the duration of each nursing period. Malati attained the first stage of enlightenment without ever leaving home. Dipa Ma insisted and exemplified, "You cannot separate meditation from life." A neighborhood woman Sudipti Barua explained to Dipa Ma, "I have so many concerns with my mother and my son, and I also must run a family and a large bakery business. It is not possible for me to do this vipassana [meditation]." Dipa Ma asked her to devote five minutes a day to meditation. Sudipti persisted, "I know I cannot spare five minutes. It is impossible." Eventually she not only spared five minutes, she said she found time and energy she did not know she possessed. If you are committed to a spiritual path, I cannot recommend Dipa Ma: The Life and Legacy of a Buddhist Master strongly enough. Midweek surprise. No, I'm still meditating (thank god for the nifty Typepad future post feature). Here's food for thought about our creative mission in life from Naomi Wolf's book, The Treehouse (previous mention). 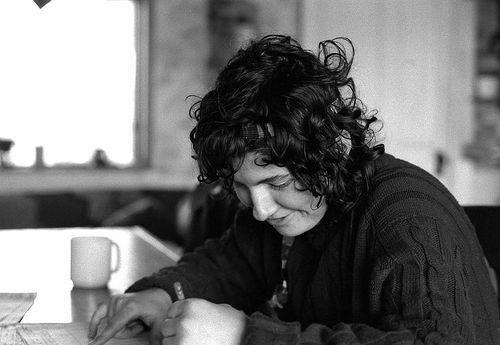 Her father believes "everyone is here on earth as an artist; to tell his particular story or sing her irreplaceable song; to leave behind a unique creative signature." I'm out at an eight-day silent meditation retreat. The questionaire asks me: What motivates you to do a retreat at this time? When MSM (that's mainstream media) ventures into blogging, they're savvy enough to know it doesn't simply mean that their reporters and journalists scurry to whip out blogs. Sure, it can mean that too. Ultimately that's the vision I have for business blogs: it's not just the company's press. There are more collaborative participatory media initiatives cropping up each day than I can point to here. Just last week, I hear two of my local TV stations tell me they're gearing up to allow viewers to video blog. I heard Martin Turner, of BBC Americas, last week say: "BBC broke story after story in Africa simply because we were there." Now, they've pulled back on foreign correspondents due to expense and dispatch reporters out from London as needed. There's still no substitute for being close to the action - ready, alert and probing. Businesses rarely get out in the field or reside in the customer's environment much. Yet that's where the breaking stories are. Where the new product ideas and company directions lie. Do you know where does your prospects and customers hang out and swap stories? How do you notice emerging patterns? The people who really know the scoop are the ones on the front lines. Their experiences and stories are far more valuable, and interesting, to other educators than anything we could write. And preaching to the choir here on the Roadmap, but we chose the form of a blog because it offers two-way communication, which makes it a meeting place for educators tackling security issues, versus a static resource page. Educators speaking directly to educators. About issues faced by educators when integrating technology in the learning and testing environment – technology evaluations, practical advice on holding faculty workshops, information about new tools that might be useful etc. etc. Not just information about [company sponsor] Software Secure. "The people who really know the scoop are the ones on the front lines." Gee, sounds an awful lot like the grassroots media and citizen journalist rallying cry to me. There's a lot of business lessons in grassroots media. Marketing and media often go hand-in-hand. He said the real value of this to marketers is in listening to what consumers say about their products. Well, then, I said, that should be transparent. Any smart company should create the means where they can listen to consumers -- really listen and let customers influence how products are designed, made, and sold...Hell, they should call it ear-of-mouth marketing. If corporate-sponsored (versus a customer evangelist doing it on his own -- more on that later), a sponsor that is willing to let the blog happen. The good and the bad. I saw Naomi Wolf speak the other day. An earlier book, The Beauty Myth, was lauded by New York Times as one of the most important books of the 20th century. Her work is poured over in feminist studies courses in universities everywhere. Naomi Wolf has transformed from a feminist to a humanist. It's hard to tell when exactly she grew weary of polemic and debate, but her two young kids and witnessing 9/11 from her home in lower Manhattan had something to do with it. Her poet-professor father shares his twelve lessons for a creative, joyful life while in the midst of building of a treehouse for her daughter (she admits she'd never been receptive before). The result is her new work, The Treehouse: Eccentric Wisdom From My Father on How to Live, Love, and See. This book is about pursuing your mission in life. It's beautifully written. I confess this is the first book since I read Tuesdays with Morrie on a beach chair days before the tsunami that any book has touched me enough to shed tears. There is another way of looking at the world where you don’t look down from the plane at 30,000 feet and point out the window exclaiming, “Oh, look, there!! See the dotted line separating India and Pakistan?” You simply don’t perceive borders from that vantage point. I feel Naomi does a superb job explaining why humans matter and why storytelling matter. Naomi Wolf's father taught her that "all stories participate in the one human story, and that the life of individual imagination can stand againsts the isms that divide us and make us into caricatures to one another." Pulitzer-Prize winning novelist Willa Cather said, "There are only two or three human stories, and they go on repeating themselves as fiercely as if they had never happened before." Catchy headline, but I don't purport to cover all the myriad reasons why women blog here. Simply thought I'd post an exchange (very lightly edited) with a reader to shed light on what motivates a lot of people - especially women - to blog. There's always a tension between being extrinsically and intrinsically motivated, and maybe just maybe more women are allowing the intrinsic to win out. 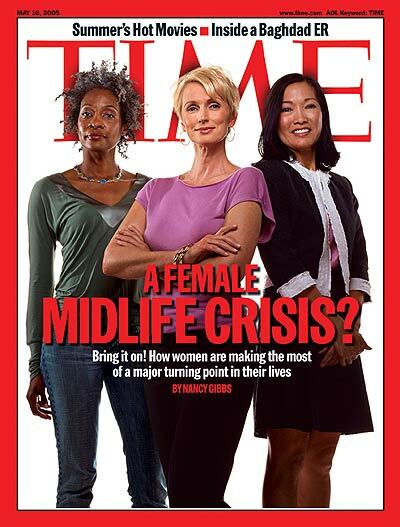 Or maybe we're all going through a collective midlife crisis, or so says Time magazine. (Or in my nomenclature, it looks a lot more like reclaiming our voice along the heroine's journey and the liberation our creative selves.) In the Heroine's Journey, author Maureen Murdock, says we take off on our quest because we've reached the bottom of our well. We wake up to our parched throat and eager thirst in a spiritually arid desert. Blogging and for that matter any creative endeavor is not simply an oasis. It is water itself. Like any other sphere, blogging has its cliques and hierarchies, etc. and truthfully, I'm wondering if blogher will be inclusive enough to welcome those of us who don't have blogging goals...who blog just because they love to blog (and read other blogs)...but who aren't necessarily out to monetize their blogs. The act of blogging is a communal act; sort of a breaking bread with others. Every day we make time in our hectic lives to eat. And I find I will make time for that which nourishes me. I am thankful for the bloggers that feed me regularly and the readers who write me (I savor everything even if I am not able to reply) and re-mind and replenish me. You've got to take what I said the other day with a grain of salt. Another take (I was in a snarky mood when I wrote that piece): Have you ever gone a follow-up coffee date after a networking meeting and had that person blather on and on and on about themselves (think Christmas letters, blind dates too). After an hour they realize and exclaim: "Oh, my God, I've just been doing all the talking. So, tell me, what do you think about me so far?" Try this exercise: Imagine now if you will a diesel lube corporate weblog. Imagine now what the diesel lube manufacturer would say on the CEO blog. Or the product marketing manager on his employee weblog. Close your eyes and really brainstorm: What kind of posts would you likely see on a daily basis? What's the conversation like? There's a lot more than just advertising that the lube manufacturer got from this. A lot more than insightful ethnographic market research into what makes truck drivers really tick. Oh, yes, they got all that...and more. They also gave a space for the voices of their customers to be heard - a priceless gift. I'm digging back in again and keeping abreast of grassroots media. I had been following tech and media blogs ever since I first heard the word 'weblog' at the catalyst event to ETech in 2001 (actually I still consider O'Reilly's P2P conference to be the first ETech). Everyone at the conference appeared to be a blogger. "Huh, a what?" I asked. While I began reading, I couldn't imagine finding the time to indulge in writing. Yet I scurried to get my new blog up in time (I'd abandoned my 2002 blog) for Etech 2003. It'd have beeen worse than showing up without a business card. I recall that innovation happens at the intersection - at the crossroads - of diverse fields so it's time to venture out further afield. I'll be writing original content here on my musings on how developments in grassroots media and new media affect business in general while the companion linkblog is just that - links without the context, the synthesis - but the fodder for my synthesized, crystallized thoughts and projects. I've always loved the style of Po Bronson's book, What Should I Do With My Life? The True Story of People Who Answered the Ultimate Question. It's written in first-person, much like a blog. That personal style had been on my mind, and I couldn't resist grabbing the new paperback version (9 new stories) when I saw it this week prominently displayed in a bookstore. I loved that he totally upturned the impartial observer interviewer-interviewee convention and connected with the people he ran across. And he says he used serendipity to find his 'subjects'. Stories are everywhere. In all, he spoke to 900 people in the course of writing the book. About 50 stories made the cut. I think it made it a bestseller. (OK, the timing perfectly coincided with the dot-com bust too.) Not because it overtly strived and bustled its way onto the bestseller list, but because it quietly, powerfully spoke to a heck of a lot of people on a Big subject matter - intimitely and up close . “I live in a different world now. Or one I perceive differently, thanks to the openness of the people I’ve met. I feel like I’ve rediscovered my awe. Let me explain what that means. I used to look at the world through the eye of a magazine writer, filtering out the ordinary while waiting for the sensational and buzz-worthy to trigger my muse. There were so many people I didn’t listen to, so many stories I passed on, because I couldn’t imagine them grabbing the attention of news-hungry editors. If some of the stories are amazing, it suggests to me that amazing stories must be everywhere. If stories are inspiring, then inspiring stories are everywhere. If the stories are ordinary – which is how I think of them – then many ordinary people, everywhere, are daring to be true to themselves.” - Po Bronson, What Should I Do With My Life? "If you go back one hundred years, most media were personal media," observes Henry Jenkins of MIT. "The impulse to create stories or make up songs or paint pictures is what culture wants. There was a brief moment in human history where mass culture pushed the other stuff out of the way. Somehow we became convinced that only a few special people have talents or visions worth pursuing." All of us, [Joe Lambert, founding director of the Center for Digital Storytelling] says, have been taught that only the experts can create media, that it is somehow off-limits to hobbyists and amateurs. But the center's message is a simple one: we all have a powerful story to tell. As Lambert puts it, "The twentieth century was about being talked to in the language of film and television. It was about a cynical, commercial-driven media machine filtering what we were allowed to watch. At some point, we'll grow tired of watching 'reality TV' and we'll latch onto people's authentic stories of reality. In the new century, all of us get a chance to talk back. We'll be the authors of our own stories." A few of us [digital storytelling workshop participants] have scribbled some ideas, and we begin to discuss our rough-hewn scripts in a grou setting - a surprisingly positive session that helps us find the stripped-down, emotional center of our stories. "We try to discourage the notion that film production is a worrisome, monumental undertaking, dealing with lighting, sound, characters, and setting," Lambert says. "You don't need all the fancy apparatus as long as you have an effective narrative. I don't mean slides of your summer vacation - that's the kind of superficial use of media we all fear. We're looking for something deeper. We're ready for a new sincerity."